The term “jujutsu” can mean soft or pliable art. This can be interpreted to refer to methods of combat that employ the principle of “ju”, flexibility or softness in the execution of techniques. Traditional Japanese jujutsu and aikijujutsu were developed and employed by the samurai on the battlefields of Feudal Japan and later expanded during the Edo Period. The technical spectrum of jujutsu typically includes sophisticated joint locks, immobilizations, chokes and strangulations, strikes, throws, manipulations of vital points, subtle physical manipulation and mental disruption. Bakersfield Budo practices Dentokan Aiki-Jujutsu under the auspices of Roy Hobbs, Hanshi. Training focuses on the waza within each specific set, followed by henka waza (variations of the formal waza). 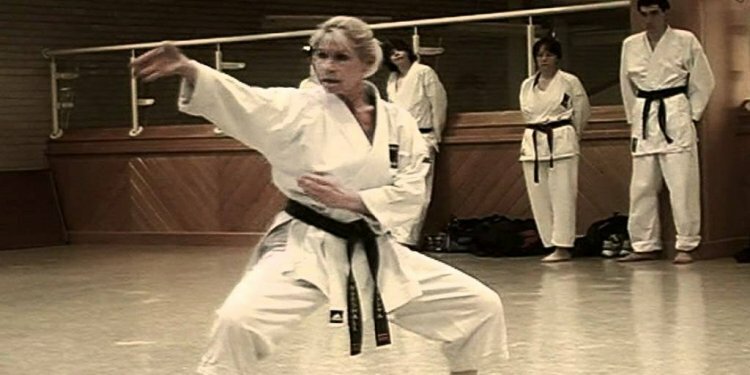 Henka variations deal with attacks such as strikes, kicks or grabs that one may encounter in a self-protection situation but may not be included in the formal waza of a given set. Henka waza are studied in order to increase knowledge, skill and to explore the gensoku (principles contained within each waza). Through the understanding of Gensoku, one is able to develop practical Goshin Oyo (self-defense applications). Coupled with an understanding of Henka, Gensoku, and Oyo, it is possible to make a graduated response to any attack. A response can vary from a simple pin or restraint to all out counter attack, thus not only making an appropriate reply to any attack possible, but applicable in modern society. The Dentokan Jujutsu established by Col (Ret) Roy J. Hobbs traces its lineage from the Daito-ryu Aiki-jujutsu of Takeda Sokaku, Dai Sensei through Hakko-ryu Jujutsu and Kokodo Ryu Jujutsu. Dentokan Jujutsu is a system that, like it’s predecessors, is noted for very relaxed and “soft, ” yet extremely effective execution of technique to neutralize an attack. Based on its roots and associated technical composition, including the use of aiki methods, Dentokan Jujutsu is also referred to as Aiki-Jujutsu. Dentokan Jujutsu’s primary influence and root is in fact Hakko-Ryu Jujutsu. Hakko-Ryu translates to “Eighth Light Style.” This name was based upon the belief that there is an eighth band of light in the visible spectrum that is almost invisible, but actually very strong. As an analogy, Hakko-Ryu’s techniques may appear weak, but are actually very strong, stemming from small, direct, well-executed movements. The origins of Hakko-Ryu and Dentokan Jujutsu lie in a secret art of the ancient Minamoto family; a lineage that eventually adopted the Takeda surname. Takeda Sokaku inherited the art known as Daito-Ryu and unveilled it to the public in the 19th century and substantially increased it’s popularity. Ryuho Okuyama came to study Daito-Ryu under Toshimi Matsuda— a student of Takeda Sokaku. Okuyama later became a direct student of Takeda Sokaku for a short time, recieving his Daito-Ryu teacher’s license in 1936. Okuyama founded his own style called Hakko-ryu in 1941 which combined the physical techniques of Daito-Ryu with elements of oriental medicine. Hakko-Ryu took on the characteristics of “No Challenge, No Resistance, and No Injury” as a result of the mental shift towards peace that Okuyama himself experienced after the bombing of Hiroshima and Nagasaki. This was a definitive break with the brutal combative approach normally associated with Daito-Ryu and its various offshoots. Roy Hobbs recieved his Shodan in Hakko-Ryu in 1968 and later studied at the Hakko-Ryu Hombu Dojo for three years. His principal teacher was Yasuhiro Irie; direct student of Ryuho Okuyama. In 1983 Roy Hobbs recieved his Shihan Menkyo (Master’s Certificate) from Ryuho Okuyama. Yasuhiro Irie began his own branch of Hakko-Ryu after the passing of his teacher in 1987, calling his jujutsu “Kokodo” (Imperial Light Way). Hobbs Sensei later received Menkyo Kaiden— complete transmission, Kokodo-ryu Jujutsu.